The students are back from Spring Break, so there is more happening on campus! 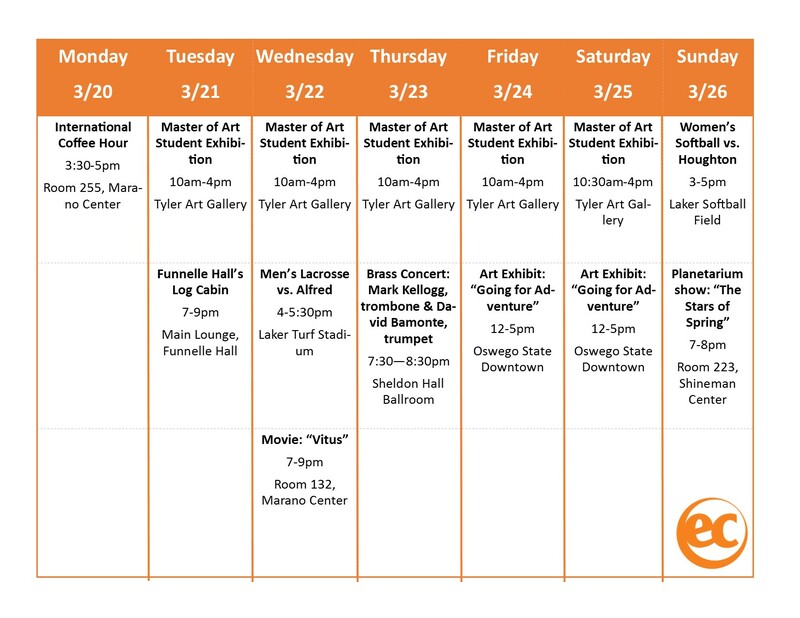 There are sporting events, activities in the dorms, and art exhibits! Check these events out to become immersed in the SUNY Oswego campus!